Yes, that is his real name. No, we’re serious, it totally is. Bill Goodenough is the lowest self-esteem we’ve ever seen appear in name form. How does that last name even come into existence? We imagine it would have to be a hilarious Ellis Island story, right? Like, his family came over, they asked his grandfather what his name was, he said something Eastern European with a lot of Zs, the guard (wait, Ellis Island didn’t have guards, what would you call them?) would be like, “Zwwquezeski?” The grandfather said, “No,” the guard (it’s not a guard, dammit, but you get the picture) would try again, and again, until finally the grandfather would shrug and say, “Good enough.” And boom, you just got a hilarious last name out of that, grandfather of Bill Goodenough. And if you’re wondering if Bill Goodenough was “good enough at baseball”, first of all you’re desperately unoriginal and that sickens us, but secondly, no. Not at all. 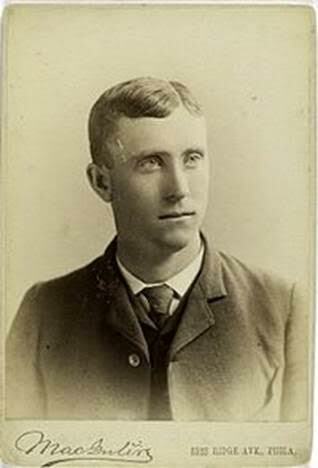 He played one season in 1893 for the St. Louis Browns where he batted .161 with 2 RBIs. Bill Goodenough wasn’t even Bill Justokay. Boom. In your face, guy who’s been dead for over a hundred years. First off, look at that picture. That picture is a thing of beauty. That picture got you pregnant, and you’re keeping the baby. We love everything about that. And his name is Ducky Hemp! 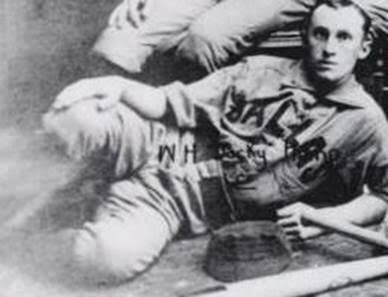 William “Ducky” Hemp was good at two things—having his nickname be Ducky, and posing for a picture while asking you to paint him like one of your French girls. 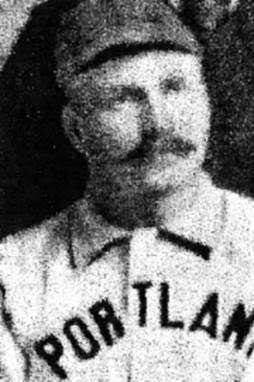 He was not very good at baseball, however—he played two of his seven seasons in the Major Leagues, where he accrued a grand total of 5 RBIs to go with his robust .214 batting average. Actually, we’re really mad he hit that high. If he batted .200, we’d have the Ducky Line instead of the Mendoza Line. 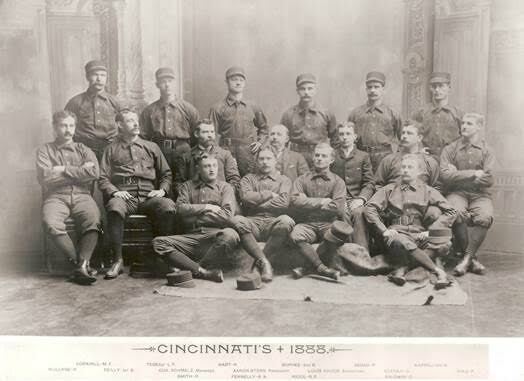 Baseball, you just missed out on having a far richer lexicon. You fools. 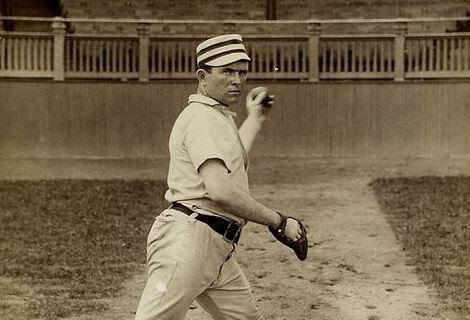 We couldn’t find a picture of Walter “Mother” Watson, a man who pitched two games in his entire career. All we know is that his nickname was “Mother” and that he was murdered at the age of 33…oh Jesus. Okay let’s focus on…his nickname. Heh. Mother. That’s a silly name to have. What a silly name, Mother Watson. 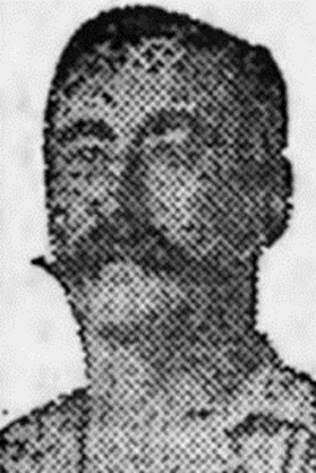 Cannonball Titcomb. Names are wonderful. Don’t let us say we’ve never done anything nice for you with this little gem right here. Cannonball. 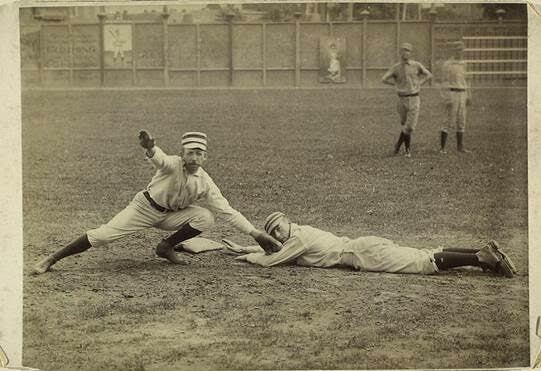 This entry was posted in All things baseball, Athletes, Strange America and tagged America, Baseball, Cannonball Titcomb, Goofy names, Major League Baseball, nicknames. Bookmark the permalink.